Do you have the gerber files for the ESP Pinlet or is it already on dirty pcb? I’d like to put one together. Alternately, which PCB making software/version did you make this in? I can’t get it to open in Kicad 4.0.1 on Windows. I used Eagle (should have used Kicad, I know…). I just added the pinlet gerbers to Github. They look ok on circuitpeople.com but it’s not the gerbers I produced from (those contain other designs that I have not finalized yet). Nice, please send pictures 🙂 One fundamental aspect of board design is the ground plane (Wikipedia has a nice article). 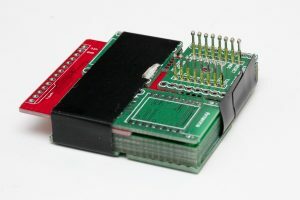 If you look at the png of the board (https://github.com/kanflo/esparducam/blob/master/hardware/esp-pinlet/esp-pinlet.png) the green GND pads are connected to the red ground plane (and the blue bottom one). Learning basic board design is great fun. I can recommend building someone else’s board, taking the Sparkfun/Adafruit Eagle tutorials (or finding Kicad equivalents) and finish with a design of your own. Oh, when ordering pogo pins make sure you order 1.02 mm diameter pins. I tried the P75-B1 which is rather pointy. I have some P75-E2 in transit that I will try. When soldering you can use an extra pinlet board to help with alignment. LAst question… for now haha…I forgot to ask, do I need to populate C1, C2 and C3 as per your schematic for the esp-12e? Those are decoupling capacitors (https://en.m.wikipedia.org/wiki/Decoupling_capacitor) and are needed for stabilising the power supply for the IC. You might do without them but chances are weird things start to happen when there is a dip on your VCC rail. These look awesome!! 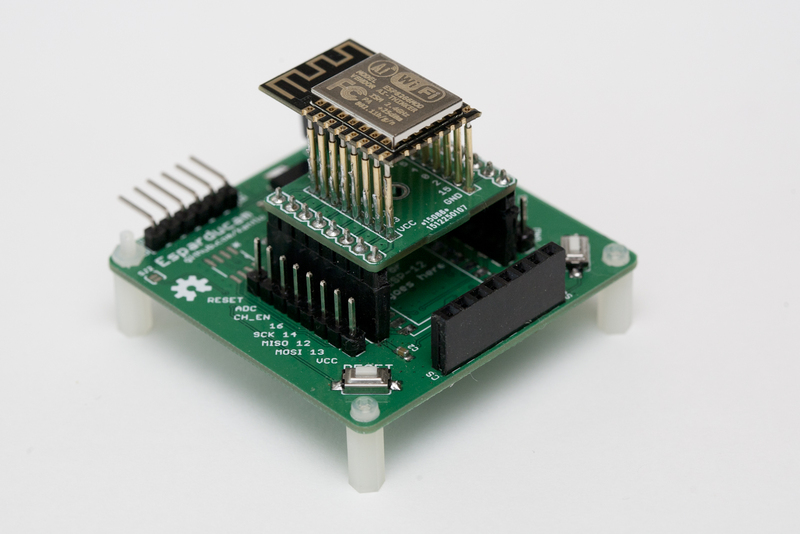 I’m particularly interested and excited about your ESP8266 and RFM69 board. 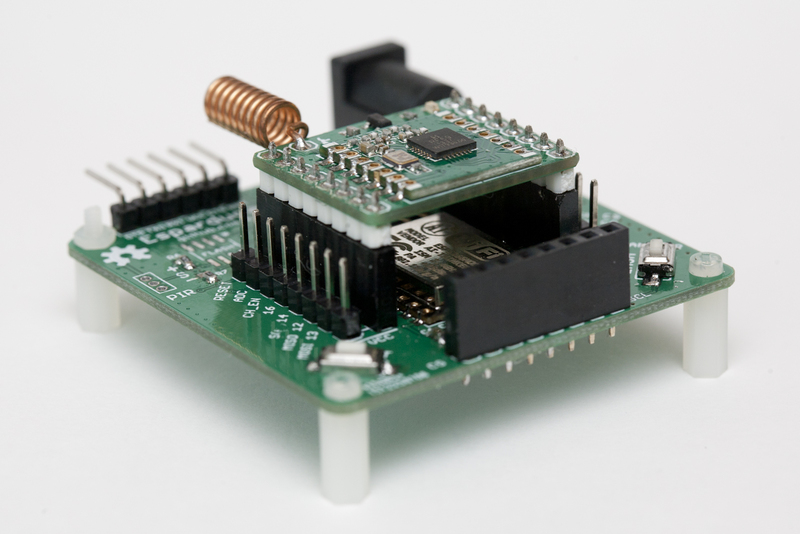 What code did you use to program the ESP8266 board to communicate with the RFM69 transmitter? Any help is much appreciated!! Thanks! 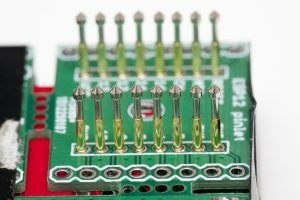 I made a port of a driver for the STM32. I will put it on GitHub this weekend. Sorry, it slipped my mind. You can find it at here now. 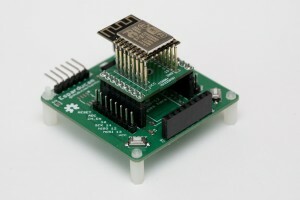 could you explain the use of RFM69C with esp8266. What does it do? Hi Amol. The RFM69C is for building a inexpensive ISM radio gateway. 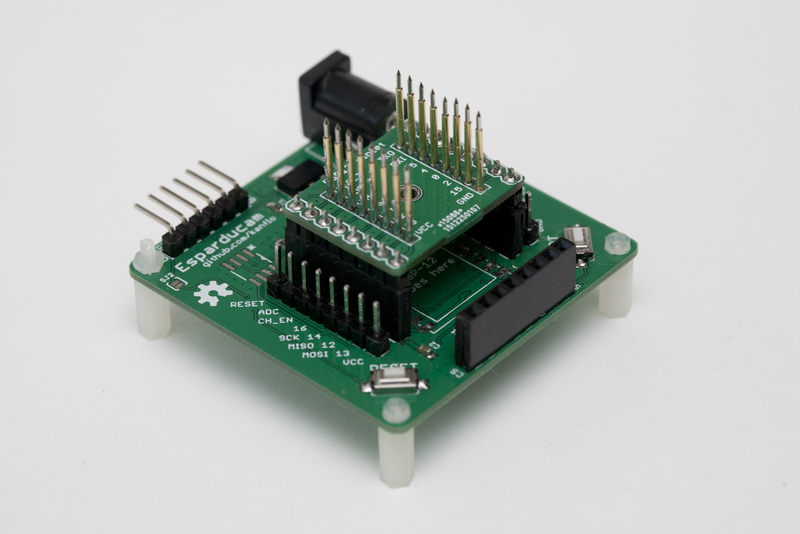 I currently have a Raspberry Pi with the BranlyPi board but plan to replace that with an ESP8266/RFM69C combo.